Today, 24 October, we celebrate the seventy-second anniversary of the United Nations. The United Nations evolved out of the aftermath of two horrendous world wars that brought untold suffering and loss of life. 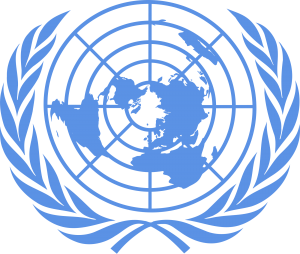 The purpose of the UN was to save ‘succeeding generations from the scourge of war’, to ‘reaffirm faith in fundamental human rights’, to ‘establish conditions under which justice … can be maintained’, ‘to promote social progress’, and ‘to better standards of life’ for all people of all nations. It would be fair to say that the UN has achieved only a fragment of what it set out to do. Wars continue to scourge the planet, human rights are blatantly abused in some parts of the world, injustice still plagues sections of society and the struggle to better the living conditions of people is ongoing. This is an opportunity to pause, to reflect, to take the pulse of the earth. Let us consider at this time the plight of the suffering Rohingya people from Rakhine in Myanmar. They are a people forgotten, unwanted, displaced, tortured and persecuted. Men, women and children subjected to brutality and untold violence. And yet much of the world closes their eyes and ears to their plight. You can reach out. Let us also consider the state of the planet. In the recent past we have been confronted by unusual atmospheric occurrences across the globe bringing the issue of the climate crisis to our doorsteps. Islands nations and coastal belts of countries have felt the fury of hurricanes and cyclones. Parts of Asia have experienced severe flooding affecting millions of people. Forests fires have raged on various continents devastating forests, hurting local economies and claiming many lives. And yet some people and leaders deliberately choose to put their own interests and the interests of their economy-driven countries ahead of the greater interest of the suffering planet and people and generations to follow. In today’s world the message of Jesus needs to be proclaimed with greater fervour and lived with deeper commitment. Jesus said, ‘I come to bring good news to the poor, to proclaim release to the captives, to bring new sight to the blind, to let the oppressed go free, and to proclaim the year of Lord’s favour’. Jesus proclaimed the Reign of God, where justice will flourish, where the rights of the widow and orphan are upheld, and where the love of neighbour and God are central to the lives of all people. As Christians, we are invited to walk in the shoes of the “other.” Jesus constantly brought to the fore the forgotten and unwanted, be they Samaritan or Syro-Phoenician, leper or widow, adulteress or tax collector, child or woman. Jesus highlighted the plight of each of these and demanded that they be treated with the respect and love that was their due as children of God. No one was excluded and no one was turned away. It is obligatory of us as Christians to hear the cry of the poor and the cry of the earth. Jesus’ invitation to walk in the shoes of the other is taken up today by many different organisations, the United Nations being just one example. We are all invited to be part of that global movement which echoes the cry of the prophet Micah to act justly, to love tenderly and to walk humbly with our God.